Paradise Palm, Inc. is a local long-standing interior plantscaping company servicing the Salt Lake Valley, Utah Valley and Northern Utah. Since 1977 Paradise Palm Inc. goal is to provide residential and commercial plantscapes with professional maintenance, sales, design, installations, and customer service while ensuring unsurpassed quality and economically justified interiors. Not only is it a goal to maintain all existing accounts with the highest quality service and professionalism, but also to provide for and grow with Utah's ever increasing interiorscape needs. We currently maintain and completely manage many large commercial interior plantscapes and high volume(sq. footage, locations) contracts all around Northern Utah. We consistently meet and exceed customer expectations and are confidant that we can provide for any and all of Utah's interior plantscape needs. When it comes to Tropical plants you can count on us! Paradise Palm is a local longstanding Interior Plantcare contractor and Indoor Garden Store. Since 1977 we have been providing houseplants, Bonsai Trees, Orchids, Air Plants, Plant Rentals, & Unique and unusual tropical plants. Paradise Palm and our qualified staff of Horticulturists are industry leaders in providing quality plant care services to Commercial Properties and private residences in addition to complete event plant rentals, Design services, consultation, installation and specimen plant sourcing. 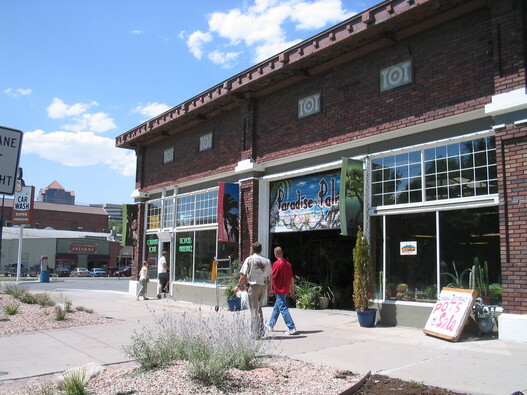 We have an amazing local retail store right in the heart of downtown Salt Lake City! Come see our huge store full of giant palm trees, amazing Bonsai trees, Freshly shipped Hawaiian Orchids, air plants, carnivorous plants, cactus, succulents and all things tropical--From spider plants to 20 foot palm trees we have you covered!! PLANTCARE VIDEOS FILMED IN OUR STORE! !